Spot the Watch: Super Bowl LII MVP Nick Foles and his Rolex GMT Master "Batman"
Introducing the BR-V2 Steel Heritage collection – a Vintage spirit with the Heritage concept at its heart. Since 2009, Bell & Ross has paid tribute to pocket watches from the Great War and to flight instruments from the 1940s. Today, the Vintage collection is entering its third generation, and the new models have seen their design evolve. Functional and timeless, the new BR-V2 Steel Heritage collection is available in two versions: The three-hand BR V2-92 and the BR V2-94 chronograph. 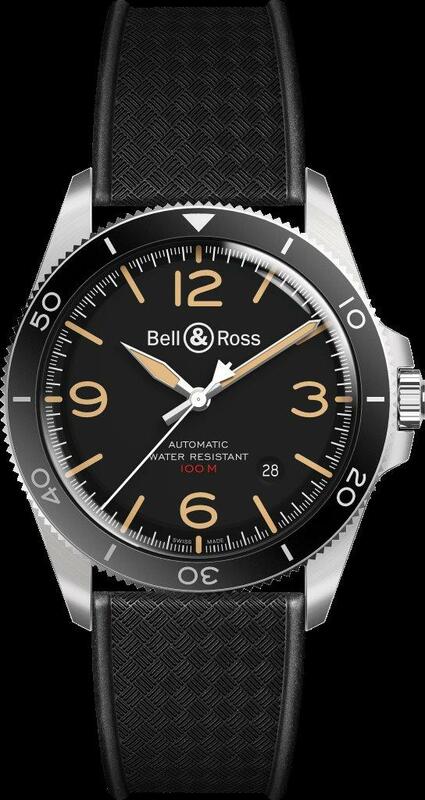 The 41mm models illustrate with elegance two of Bell & Ross’ favorite worlds: aeronautics and precision. The new BR-V2 Steel Heritage versions feature the iconic black dial with its traditional sandcoloured 12, 3, 6 and 9 numerals, as if aged by the patina of time. 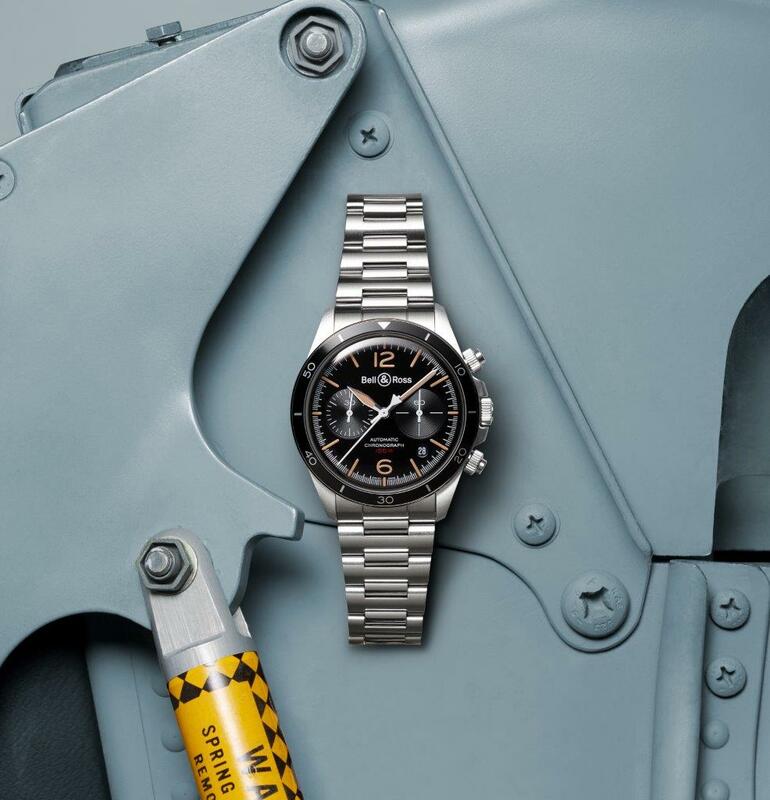 They evoke the past, and at the same time belong to the modern era, thanks to the latest watchmaking technologies and materials that combine high performance with a retro spirit. 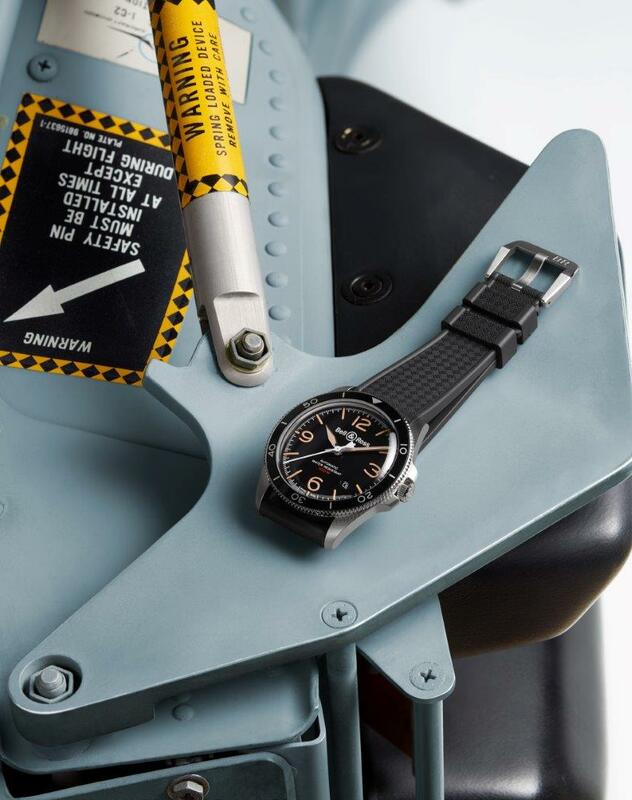 The details include a polished/satin-finished steel case with a slightly smaller diameter of 41 mm, push-buttons and a screw-down crown to reinforce the water-resistance of the case, rounded lugs that match the new metal bracelet with fine links to ensure it sits comfortably on any wrist, and the sapphire crystal with an ultra-curved finish to evoke the style of vintage watches. 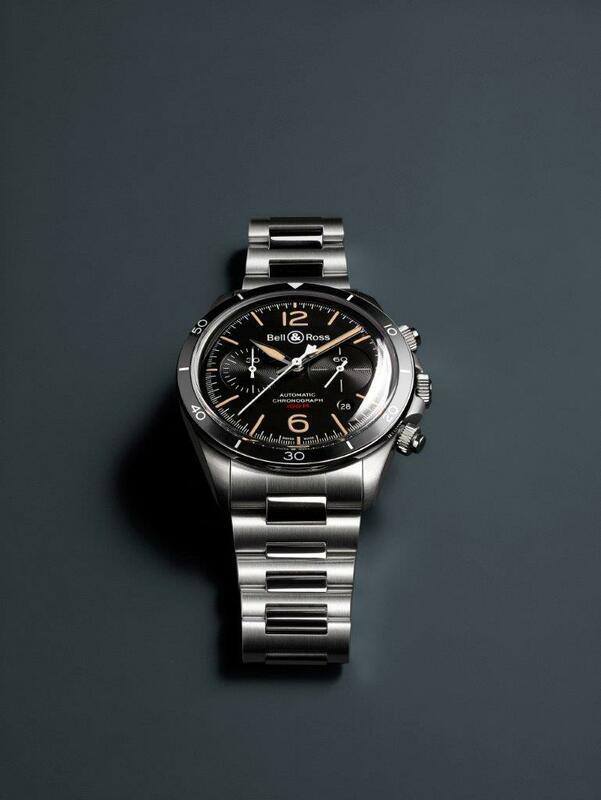 The BR V2-92 and BR V2-94 Steel Heritage measure time with precision whilst cultivating a resolutely retro look. 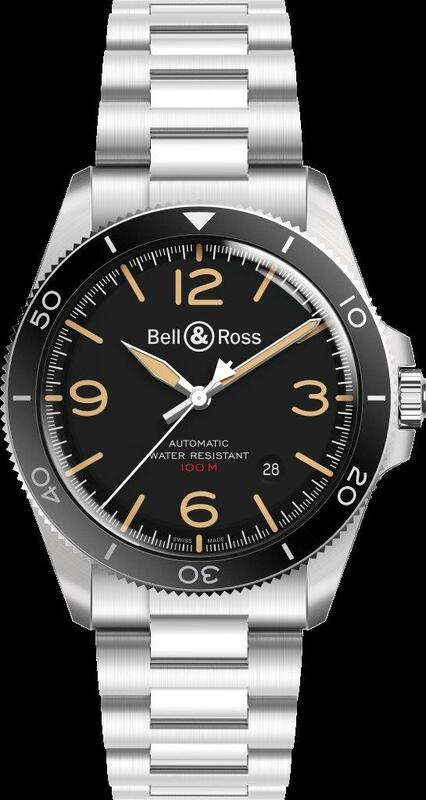 For more details on the Pre-Basel 2018 Vintage BR-V2 Steel Heritage collection, please visit the Bell & Ross website here. Functions: hours, minutes, central seconds. Date. Case: 41 mm diameter. Satin-polished steel. Rotating steel bezel with anodized black aluminum ring and 60-minute scale. Screwdown crown. Sapphire case-back. Dial: black. Sand Superluminova® numerals and indices. Metal skeletonized hour and minute hands filled with sand-coloured Superluminova®. Buckle: folding for metal bracelet. Steel pin for rubber strap. Functions: hours, minutes, small seconds at 3 o’clock. Date. Chronograph: 30-minute timer at 9 o’clock, central chronograph seconds. Case: 41 mm diameter. Satin-polished steel. Steel bezel with anodized black aluminum ring and 60-minute scale. Screw-down crown and push buttons. Sapphire case-back.